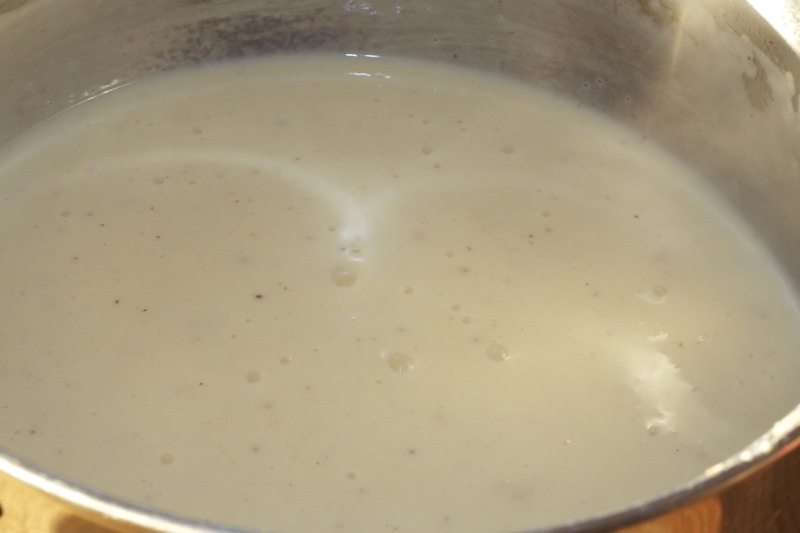 Slowly add milk 1/2 cup at a time, whisking as you go to get rid of any lumps. Whisk until thick and smooth. Season with salt and pepper, don’t forget to taste, you may prefer more/less salt.